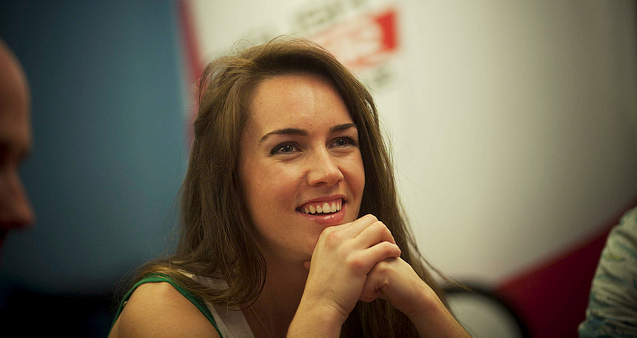 Today, Liv Boeree is one of the most recognizable faces in poker thanks to dozens of live tournament cashes and a lucrative deal with PokerStars. So it’s easy to forget that she, like many other pros, was once a total novice. Boeree’s first real brush with poker came in 2005, when she answered an ad to be on the reality TV show UltimatePoker.com Showdown. After making the cut, the Maidstone, Kent native got to be coached by three very famous pros in Phil Hellmuth, Dave ‘Devilfish’ Ulliott and Annie Duke. What ensued was a developing fascination with poker that led Boeree to playing at the Gutshot Club in London. Eventually, she was asked to be a reporter for Gutshot TV at the 2006 WSOP in Vegas. While Boeree jumped at the opportunity, she still didn’t see herself as much of a player. Her first couple of years in the poker world were mainly spent on the sidelines, doing reporting for Challenge TV’s coverage of the European Poker Tour. But then Boeree caught a big break on the felt when she won the Ladbrokes European Ladies Championship along with $42,000. The money wasn’t enough to play high stakes, but the victory did give her plenty of confidence. Now Boeree gets to travel the world as a representative of Stars, playing in lots of major tournaments. She especially loves the US as she explained to BBC America. “I’m a huge geography nerd, and the US has almost every geographical feature you can think of, from volcanoes to deserts to swamps to huge mountains,” she said. Boeree adds that she’s been to almost every state in America and loves the nature aspect of the country. Boeree is already familiar with the camera, having served as a co-host of Discovery Channel’s Mind Control Freaks and making appearances on Travel Channel’s I Bet My Life, ITV’s Golden Balls and BBC’s Celebrity Christmas University Challenge. So it wouldn’t be such a stretch to one day see her acting on screen as well.